Hey everyone! Last Monday we announced the winners of our giveaway, but haven’t heard back from everyone yet. We are waiting for replies from everyone before sending all the goodies out. We want to give a fair amount of time for responses so we are giving until the end of this week for the last couple of winners to email us their addresses and claim their prizes. If we do not receive a reply by Friday, we will redraw winners for the unclaimed prizes. 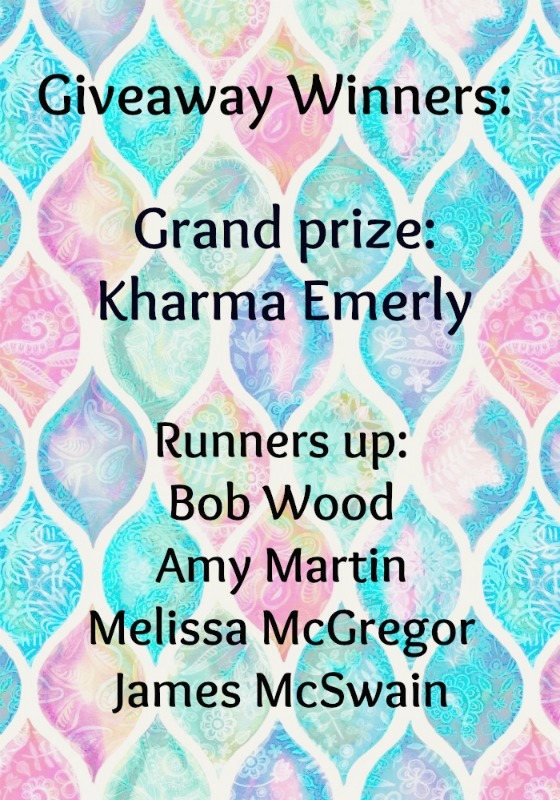 If you are one of the below winners, and have not emailed us back yet, please do so by the end of the week or you will not be able to claim your prize.